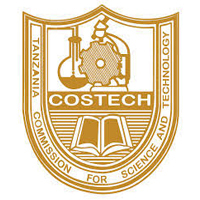 COSTECH is the chief advisor to the Government on all matters pertaining to science, technology and innovation; and their application to the socio-economic development of the country. Among the functions of the Commission is cocoordinating and promoting research and technology development, and transfer activities in the country. This includes fostering innovations in the country. COSTECH is building the innovation ecosystem in the country including establishment of innovation spaces and incubators as platforms for developing and transferring of technologies. Among the innovation spaces which have been established is the Buni Hub. General Background: Buni hub previously known as the “Innovation Space” is a tech co-creation, working space found at the Tanzania Commission for Science and Technology (COSTECH) in Dar es Salaam, Tanzania. Buni hub focuses on promoting innovation and technology entrepreneurship in Tanzania. Buni hub was the first innovation space (tech hub) to be established in Tanzania as part of the TANZICT project, a four year bilateral project between the government of United Republic of Tanzania and the Finnish government, which ended in 2016; it is currently working under the Tanzania Commission for Science and Technology. COSTECH in its project on innovation funded by DFID through HDIF is looking for competent personnel to run the Hub. The following posts are being advertised for persons to apply. Duration: Initially for two year, with possibility for extension.  Leading Projects with Partners and Overseeing Partners Deliverables.  Successful implemented Buni programmes in alignment with the demands of the community members.  Buni Hub sustainability plan.  Working experience of at least 4 years of which 2 years should be in managerial position in running an innovation space. Possess excellent communication skills and fluent in English and Swahili.  Make sure that all the projects done by Buni are successful by the time of project closure and that the partners are happy with the quality of service provided by Buni. At Least a Diploma in Journalism and mass communication. Working experience of at least 3 years with an innovation space or incubator, with excellent communication skills and fluent in English and Swahili. At least Diploma in networking, computer science, information Technology with digital marketing skills. Working experience of 2 years of doing community based activities. Excellent Communication Skills and fluent in English and Swahili. 4. Names of three referees. Applicants are requested to indicate their telephone numbers and e-mail addresses for easy contact. All applications must be addressed to the undersigned and submitted not later than 15th August 2018. Applicants who will not be contacted should regard themselves unsuccessful.